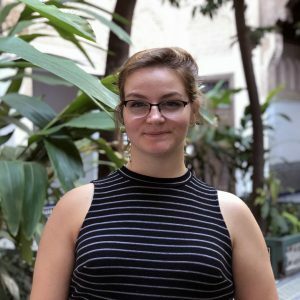 Jessye Leiner is a returning study abroad student who spent her fall 2018 semester at the Université Catholique de Lyon in Lyon, France. She is a junior majoring in Integrated Professional Studies. JL: Prior to studying abroad I did not understand just how wonderful and important this experience would be. To be able to get out of the country and learn about other countries, from people from that country, is so important because the U.S. education system could never be that intensive. It helps provide different viewpoints on how to approach differing situations, as well as teaching you how to be independent and make your way and truly figure out what you think and value as an individual outside of your national identity. JL: Studying abroad humanized the people and countries that I once thought of as being so foreign. To make connections with these people from all over (Germany, Peru, Russia, Australia, Turkey, Georgia, Taiwan, etc.) allows you to relate yourself to those countries, and make you have more trust in these seemingly distant people and places. IPC: What is your favorite memory of studying abroad? JL: My favorite memory was the first weekend after classes. I had kind of made connections with the people I lived beside, and we kind of knew some other people and we decided to take a trip to Marseille because we were abroad, and why not? It was just so cool to go do something so big with these practical strangers and to be able to bond on this level because no one is holding back emotionally/mentally. The unwarranted trust in one another, the desire to experience all of the new sensations together, to bring our individual experiences and knowledge to be able to contribute when we could, was an experience like no other. The beach was grand and we found this super cute AirBnb that had a rooftop terrace that we could chill on at night. It was one of the coolest moments I have ever had in my life, just from an impromptu trip with some (not so much anymore) strangers.